Slab leaks have detrimental effects on the foundation and flooring of your home. Typically caused by improper installation, pipes leaking underneath the foundation will cause the floors to become uneven and eventually cause the whole structure to sink deeper into the ground. 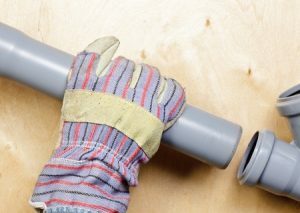 By getting a regular inspection of the plumbing lines in your home you can help lessen the chance of ever having to deal with complicated leaks like this. Contact us today to schedule an inspection for slab leak detection. Our plumbing experts use camera equipment to do a simple inspection that does not require digging around and destroying your property to get to the pipelines. Cameras are a fast and efficient way of checking the lines for any damage or debris. Slab leaks are typically caused by high water pressure, pH imbalance, or poor installation. Water pressure can increase due to a bad installation job or natural disasters like earthquakes. The higher water pressure will slowly cause the pipes to wear down and makes the chance of leaks more likely. If the lines were not installed properly, the potential for burst pipes becomes higher due to the tendency of poorly placed plumbing having bends or dents in them. Contact our team of trained plumbers immediately if you think you may be dealing with a slab leak. We are available to make emergency repairs in West LA and neighboring cities such as Beverly Hills, CA and Bel Air, CA. We are dedicated to offering reliable plumbing solutions to all of our customers. Our staff is trained to not only provide the highest quality plumbing services but to treat our customers like family. If you are looking for honest and affordable plumbing professionals in West LA, give us a call today! (310) 454-2010 We are happy to answer any questions or concerns you have for us. Updated on June 15, 2016 at 6:35 pm by Sunset West Plumbing & Rooter.